« The best LED bulb? 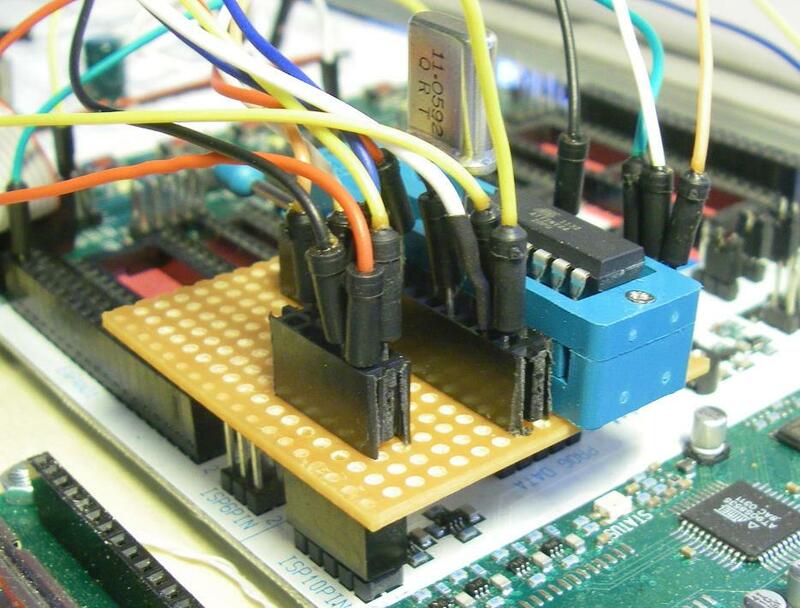 The Atmel STK500 development board does support many but not all of Atmels AVR controllers. 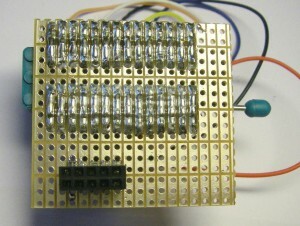 As an enhancement a STK505 unit was constructed by Atmel to support the ATtiny24/44/84 series of microcontrollers, which come in a 14-pin DIP package. Other plugin-boards for other pinouts have also been made, but since the STK500 itself is considered obsolete by Atmel, these add-on units are not easily available. 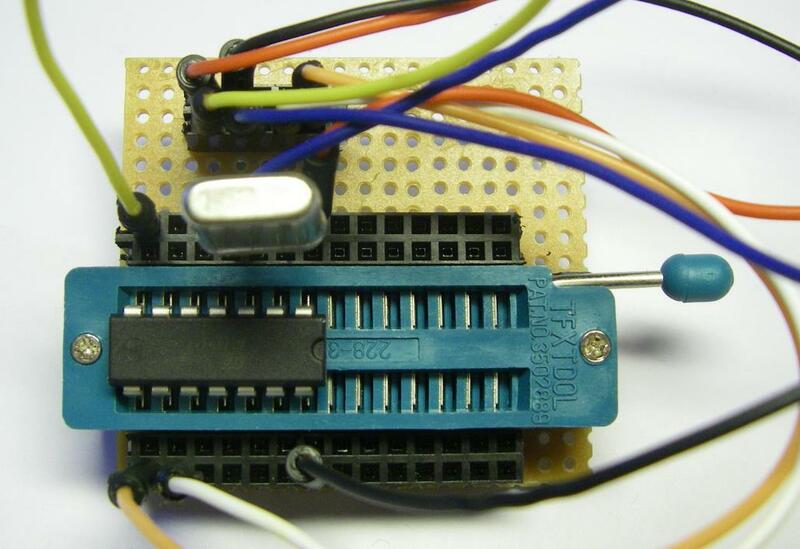 However, you can easily make a universal adapter yourself, all you need is some piece of prototype board, some strip of female pin header connectors and a socket for the controller, preferably a zif-socket (zero insertion force, Textool™). The parts you need for a universal STK500 adapter. Bottom view of the programming adapter for the STK500. I used a narrow 28-pin ZIF socket in order to support many different sizes of packages. On both sides of the socket you add one or two rows of the female pin header contacts. Solder these contacts so that they are attached to the corresponding pins of the socket. Finally you add a pin header contact each on the top and bottom of the circuit board which fits on the 10-pin ISP header ISP10PIN of the STK500. 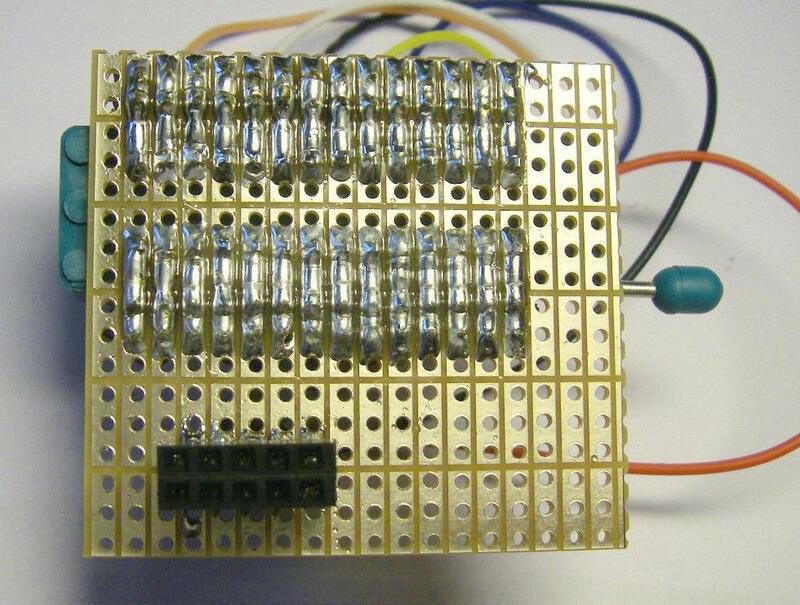 Top view of the programming adapter for the STK500 – set up for an ATtiny44 with an external quartz crystal. Now all you have to do is to find the correct pinout of the controller you want to use from the datasheet. Connect the programming and power supply pins of the controller with the corresponding pins on the ISP10PIN connector and there you go. With the double rows of contacts on each side you can also directly connect the additional pins of the controller to a breadboard or the I/O facilities of the STK500, you can insert a quartz crystal and start your project. The adapter board attached to the STK500’s ISP10PIN header.